This article is for users that already have an Oracle account. If you don't have an account, please contact Oracle or create one. Oracle Responsys empowers marketing teams with the tools to deliver the relevant, engaging experiences their customers demand across devices, channels, and lifecycles. For more detailed information about their product, please visit their website. In order to integrate with Oracle Responsys, head over to Project Settings and click on Integrations on the left hand side and click Connect for Oracle Responsys. Next, enter your Oracle Responsys login in the text field that appears, and then click Continue. This will ask you to select the appropriate Oracle Responsys Profile List. This profile list will be used to send the segments to. 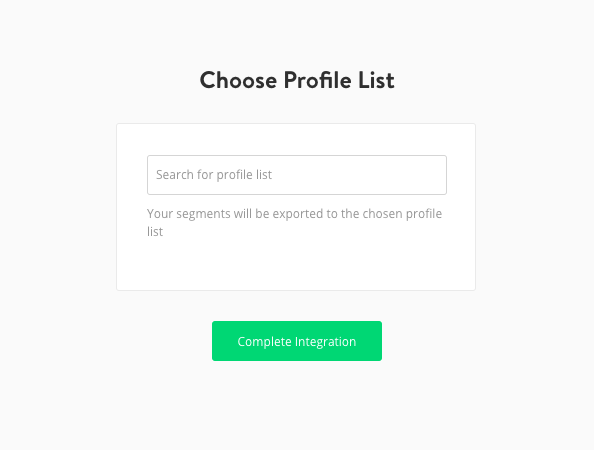 A new segment sent from Yieldr will create a new Profile Extension Table in Oracle that can be used for your targeting campaigns. Detailed information on how to create and export segments can be found here.